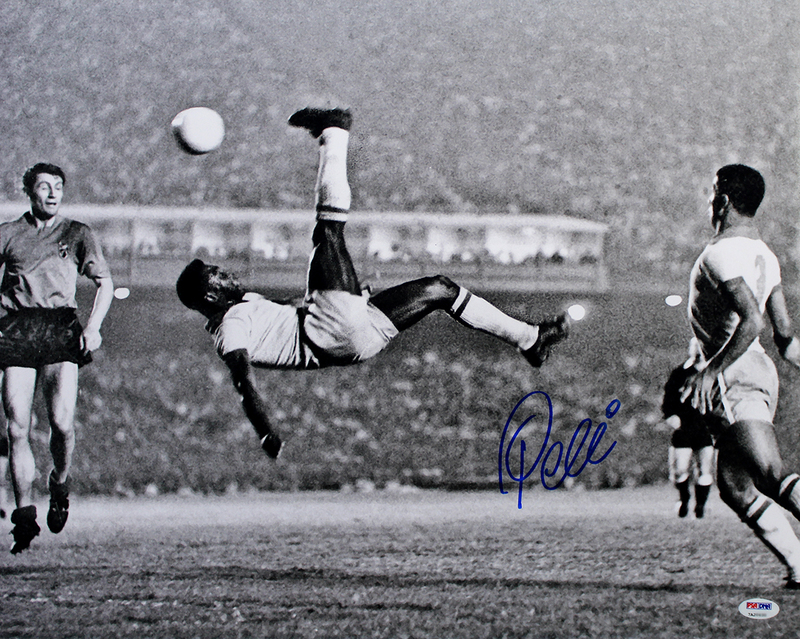 These 16x20 photos have been personally hand signed by Brazilian soccer player Pele. Each autographed photo includes authentication from PSA/DNA. Pele is often considered the greatest soccer player of all time. In a match against Belgium in 1968, Pele executed the difficult bicycle kick seen in this photo. Pele is the most successful league goal scorer in the world, with 541 league goals. He won three FIFA World Cups, the only player to do so, and is the all-time leading goal scorer for Brazil. In 1999, Pele was elected Athlete of the Century by the IOC.